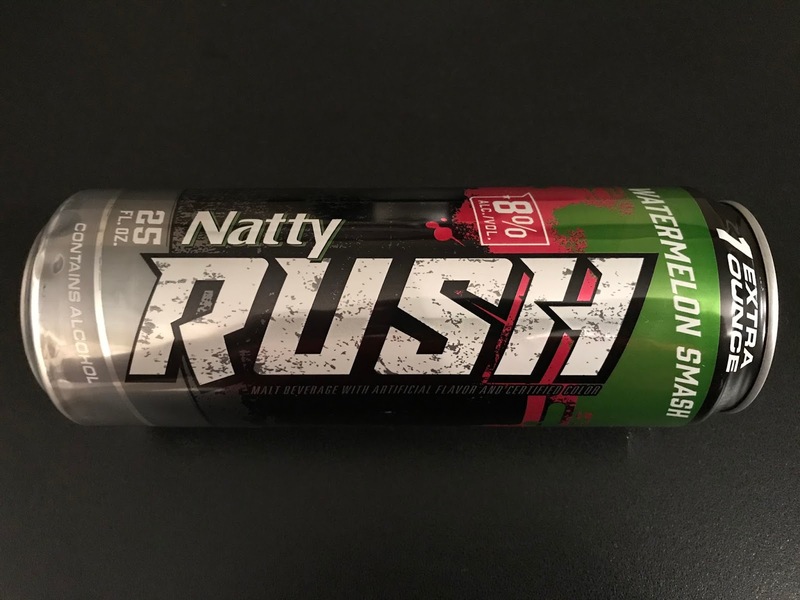 The Natty Rush trifecta is complete! Blue Frostbite, Hurricane Punch, and now Watermelon Smash! 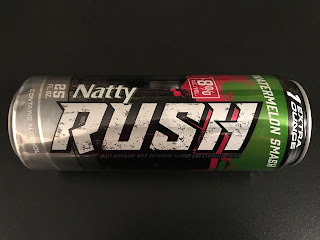 I had originally wanted to hold off a couple weeks before trying out the Natty Rush Watermelon Smash since we have been featuring quite a few malt beverages recently, but this can had different plans. 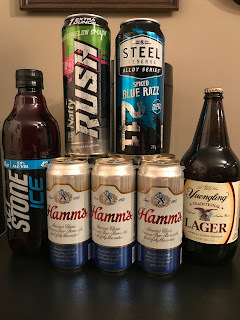 I picked up a can of Watermelon Smash for the first time during my travels today, but when I got home and placed the bag down to put all my new beverages in the fridge, I found that this can had started leaking. Somehow it got a small pinhole in the side of the can, so I couldn't let it go to waste and popped the top to start drinking it right away. 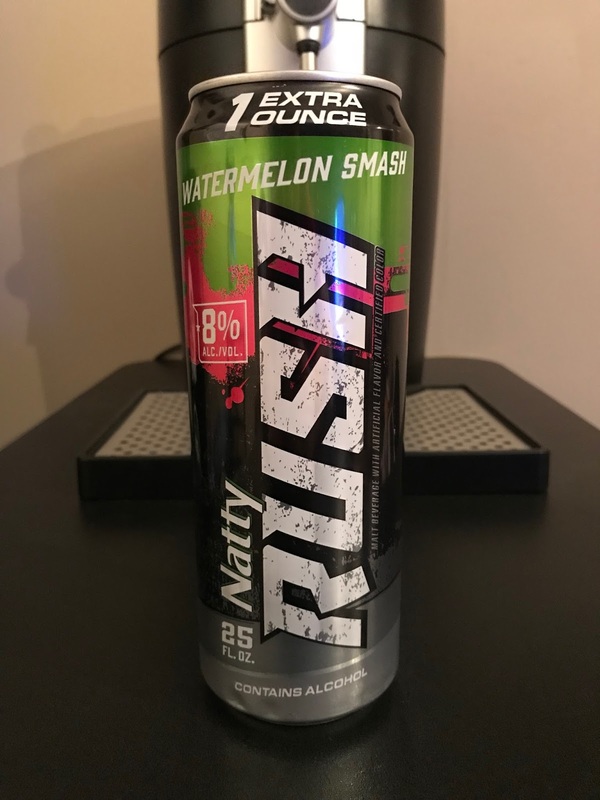 Just like it's name, it does have a sweet watermelon taste that isn't too over powering, especially when trying to drink it fast. 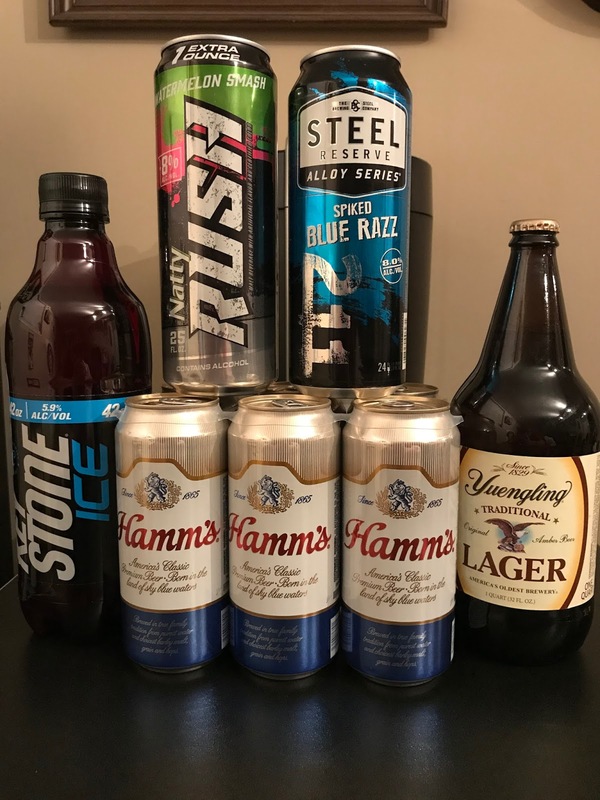 What does it taste like in comparison? The first thing I thought was the legendary Hogan Energy drink. 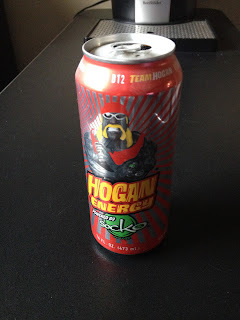 Now it has been over 10 years since I had a Hogan Energy drink, but I always remember it tasting like a watered down watermelon jolly rancher, so I think it's a fitting comparison. Not bad for 8% ALC/VOL and 25oz.